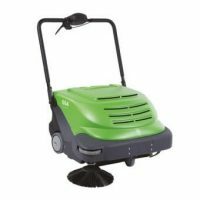 The 510M manual sweeper is designed to be the easiest-to-use manual sweeper on the market. 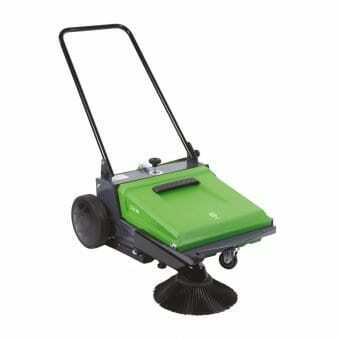 With a large hopper capacity, it provides a level of dust control unusual in a manual sweeper. The heavy duty fully coated steel frame provides long-term durability. 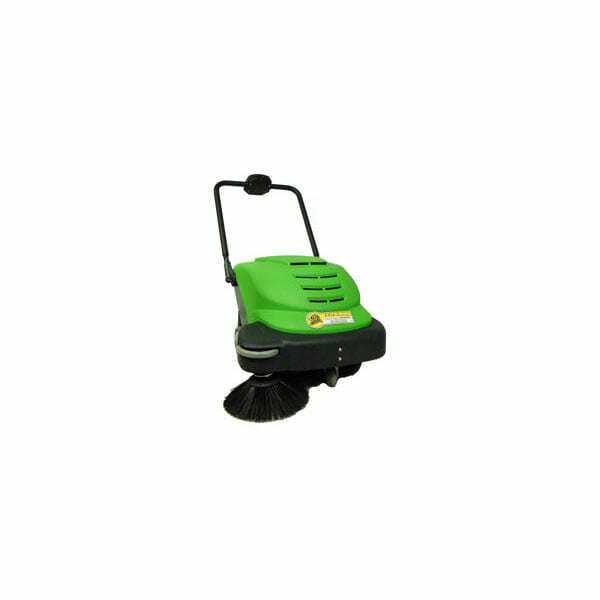 The 510M push sweeper is the ideal sweeper for all outside areas. 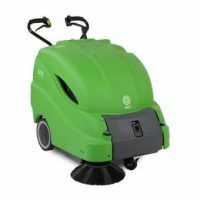 Used for cleaning pathways, car parks, warehousing etc. The cylindrical brush will collect leaves, litter, stones and will clean right to he edge with the side brush.